While visiting any of the Top Job Asphalt web sites (collectively, the “Site”), we may ask you to register and/or provide information that personally identifies you (“Personal Information”) for purposes of interacting with the Site. Such Personal Information may include, but is not limited to, your name, phone number, street address, and e-mail address. On any page that collects Personal Information, we will specifically describe what information is required in order to provide you with the product or service, register you for an event or training, enter you in the promotion you have requested, or respond to your inquiry or comment. Top Job Asphalt logs IP addresses, or the location of your computer on the Internet, for systems administration and troubleshooting purposes and to determine site usage. Your IP address does not contain personal information about you. We reserve the right to disclose Personal Information when needed to comply with the law or a legal process, cooperate with investigations of purported unlawful activities, to identify persons violating the law, or in connection with the sale of part or all of Top Job Asphalt or its affiliate’s stock or assets. Our Sites may operate as part of a larger group of sites, and may carry co-branded pages. In addition, other sites may use the Site’s or Top Job Asphalt’s name. Since Top Job Asphalt does not control the privacy policies of third parties, you are subject to the privacy customs and policies, if any, of such third parties, and Top Job Asphalt shall not be responsible for the use or dissemination of your private information by such parties. Therefore, we encourage you to ask questions and review those parties’ privacy policies before you disclose your Personal Information to others. Third party sites linked to and from the Site are not necessarily under the control of Top Job Asphalt. Top Job Asphalt shall have no responsibilities or liabilities whatsoever for the content or privacy practices of any such linked site or any link or linking program at any time. Top Job Asphalt does not necessarily endorse companies (or related products or services) to or from which the Site is linked. If you decide to access any of the third party sites linked to the Site, you do so entirely at your own risk. Top Job Asphalt cares about the safety of children and their use of the Internet. Therefore, in accordance with the Children’s Online Privacy Protection Act of 1998, we will never knowingly request or solicit personally identifiable information from anyone under the age of 13 without verifiable parental consent. In the event that we receive actual knowledge that we have collected such personal information without the requisite and verifiable parental consent, we will delete that information from our database as quickly as is practicable. We respect your privacy and ability to choose whether to share information with us and any third party. You may choose to “opt-out” of sharing Personal Information in several ways. When choosing to use certain features or services on the Site, you can choose whether to share optional Personal Information in connection with the feature or service. If you receive communications from us that you prefer not to receive, you may opt out from receiving these communications, by modifying the contact options in your registration profile.You may “opt-out” altogether from providing Personal Information to us by not registering on the Site and thereby not providing Personal Information. You may also choose at a later date to have your name removed from our database by clicking on the Opt-Out/Unsubscribe link contained within Email communications or by sending an email to Top Job Asphalt using the online contact form. 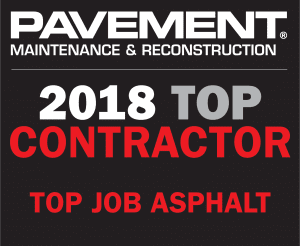 Top Job Asphalt maintains above industry standard safeguards to ensure the security, integrity, and privacy of the Personal Information that you provide to Top Job Asphalt.